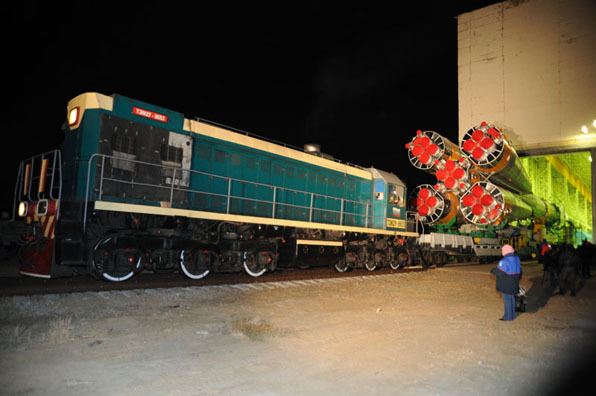 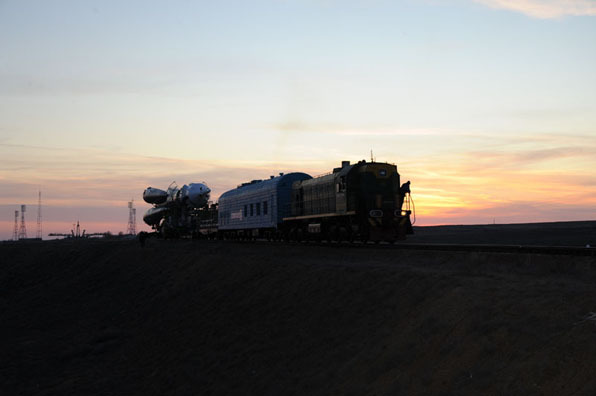 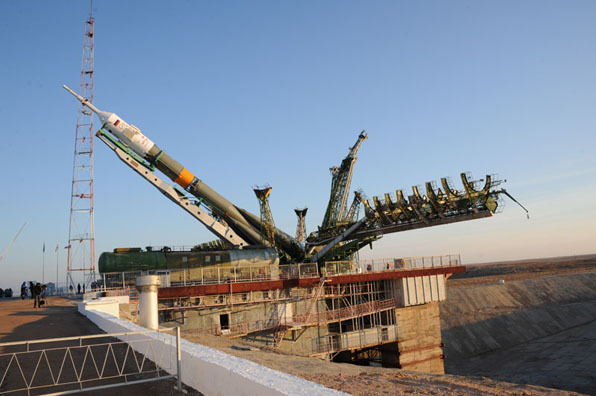 The Russian Soyuz rocket that will launch three men into space Sunday night was rolled by rail its Baikonur Cosmodrome pad at dawn Friday. 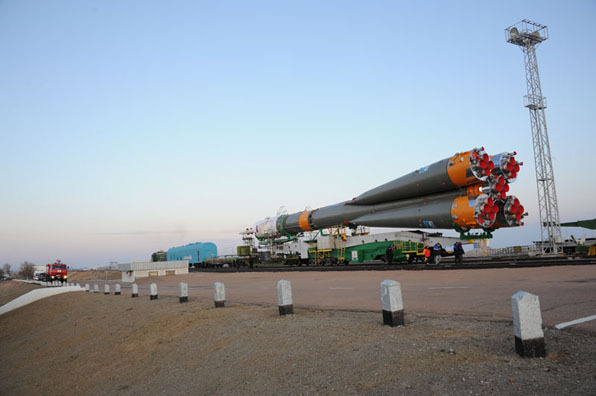 Sunday's liftoff of the three-stage booster is scheduled for 11:14 p.m. EST (0414 GMT) to deliver the Soyuz TMA-22 into orbit. 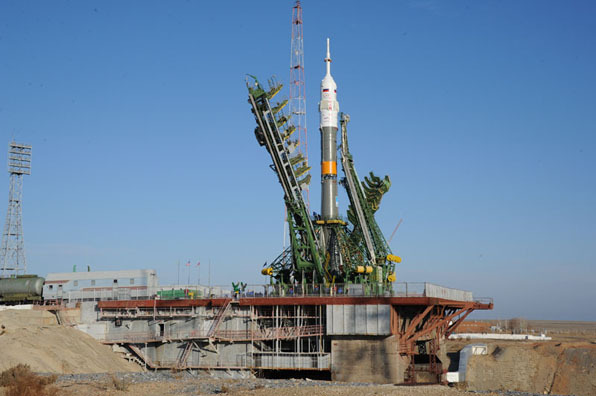 Docking to the space station is expected Wednesday around 12:33 a.m. EST (0533 GMT). 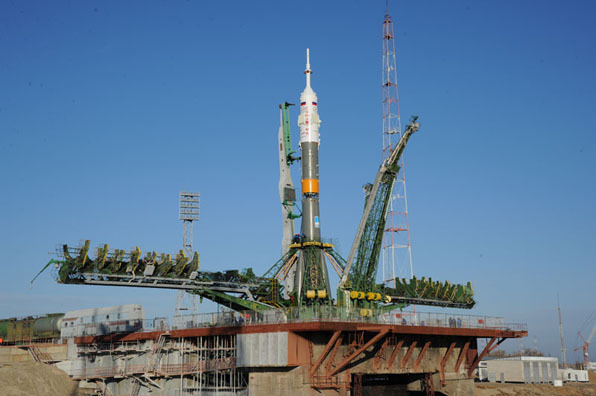 The spacecraft is carrying NASA's Dan Burbank and Russia's Anton Shkaplerov and Anatoly Ivanishin to temporarily return the station's Expedition 29 to a six-man crew, then become the core of Expedition 30 when the outpost's current resident trio return to Earth the night of November 21. 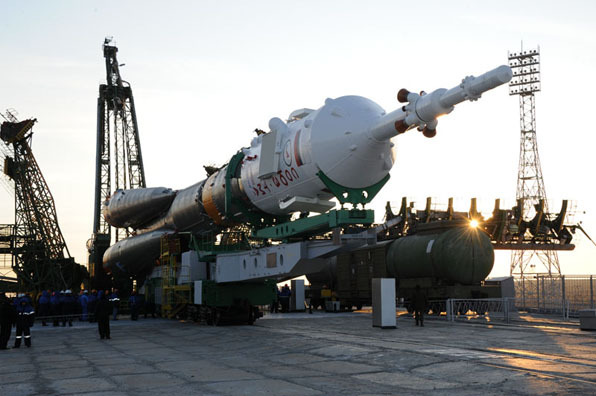 It will be the Soyuz rocket's first manned flight since the August failure of the third stage engine that ruined a resupply ship launch. 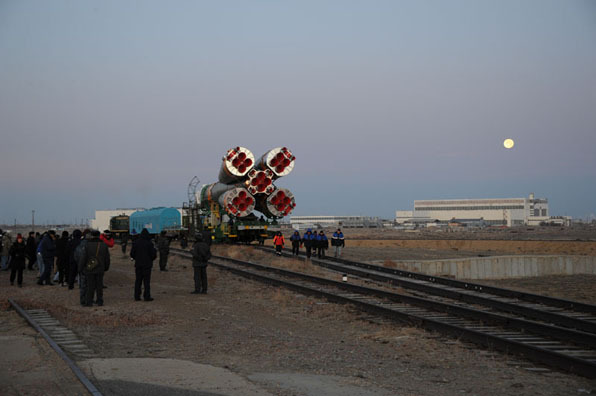 The booster successfully returned to flight two weeks ago with another cargo freighter mission to the space station.